Our family at First Priority would like to wish you and yours a joyful, blessed and safe Christmas season. Our prayer this holiday and throughout the new year is that God will bless, protect, comfort and guide you. Thank you for your support and partnership during 2018! We’re celebrating over 50 decisions for Christ that have been reported this school year thus far! We can’t wait to share more awesome testimonies with you of how lives are being changed in our schools. We’re looking forward to an incredible new year. 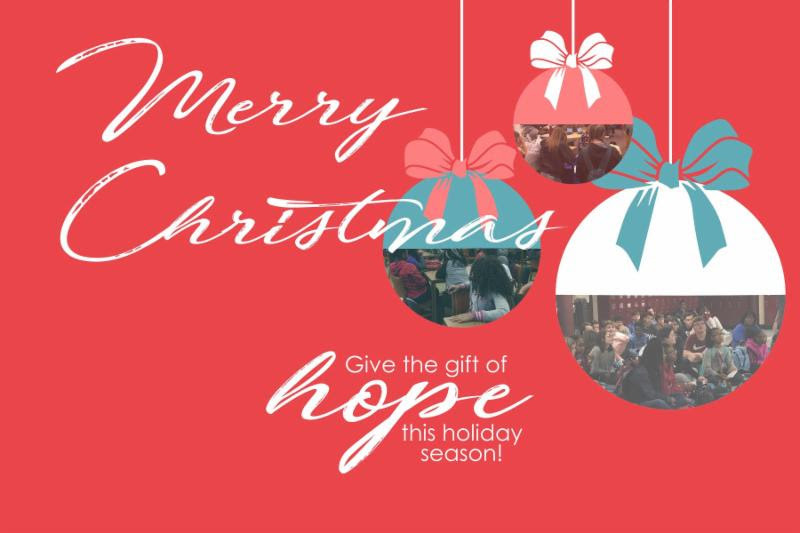 Thank you for helping us give the gift of hope this holiday season!